Rising Sun & Elvis. 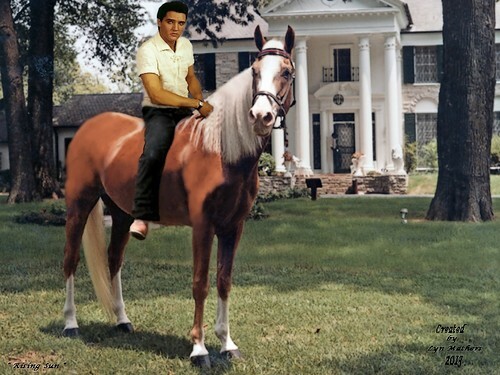 Elvis's Favorit horse "Rising Sun". HD Wallpaper and background images in the Elvis Presley club tagged: elvis presley. 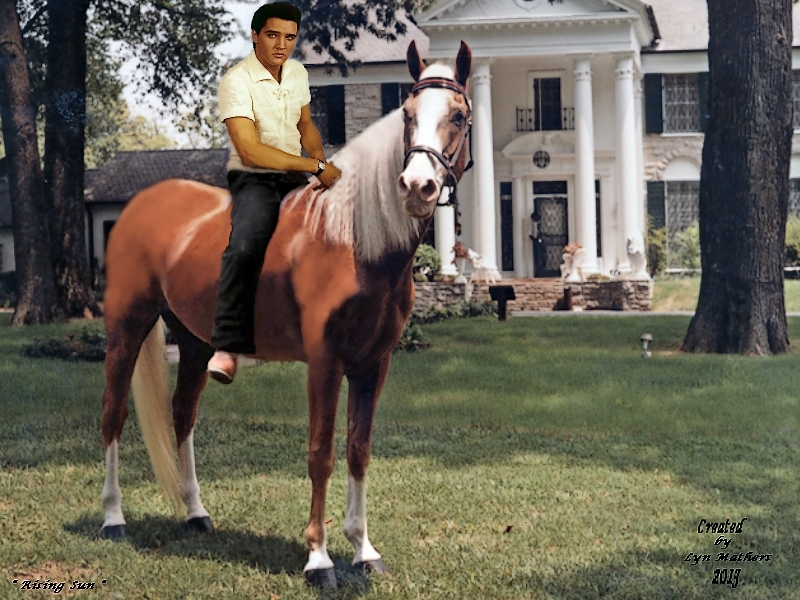 This Elvis Presley wallpaper contains dressur, pferdewrangler, wrangler, pferd wrangler, reitweg, and pferdepfad. There might also be steeplechaser, hindernisläufer, reitpferd, reiten, montieren, sattelpferd, berg, amerikanisch sattelpferd, amerikanisches sattelpferd, and american saddle horse.